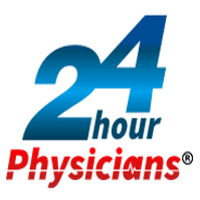 24HourPhysicians is a nationwide network of doctors who can effectively handle common issues such as bladder infections, colds & flu, fever, headaches, pink eye, and skin inflammations over the phone. No need to go the emergency room or go to the doctor’s office. Board-certified, state-licenses physicians serving all 50 states can now diagnose and prescribe non-narcotic medications over the phone. For more information contact 24hourphysicians.com. 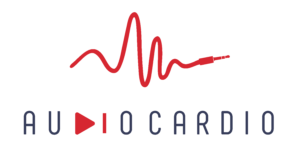 Audio Cardio is a data and science backed mobile hearing assessment and therapy that aims to protect, maintain and strengthen hearing. Audio Cardio uses a proprietary algorithm and mix of sound signals to generate a personalized therapy and stimulate the cells at the barely audible level. It is a one hour per day passive therapy which over time can improve hearing by as much as +10dB. For more information visit audiocardio.com. 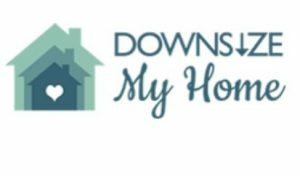 Downsize My Home offers a step-by-step system to help you downsize to a smaller dwelling saving you time, money and stress. Their Downsizing Specialists guide and coach you through the downsizing process in a way that brings a sense of relief and peace of mind and helps you avoid mistakes along the way. The company can also assist with organizing, inventory and moving. Visit downsizemyhome.biz or call (512) 296-3598. Good Neighbor Rx is a prescription drug discount program that is 100% free. It compares all FDA approved drugs and works at all major pharmacies, plus no insurance is required. What makes Good Neighbor so special is every time a coupon is used, we donate to Feeding America! Search your prescription and find the lowest price. Choose a pharmacy near you then show your Good Neighbor discount card to your pharmacist. Save money. Be happy with Good Neighbor. Available at goodneighborrx.org or download our app at the App Store and Google Play. Hire Image LLC is pleased to provide you with complete background screening services for your potential Caregivers. Hire Image makes it easy to order a background screening report on a potential Caregiver, and retrieve the final report. combined with information obtained from over 15,000 courts across the U.S. They make the screening process fast, simple and affordable. Turnaround times are between 24 and 72 hours, making us one of the most reliable and comprehensive agencies in the industry. Visit www.hireimage.com or call (888) 720-HIRE for more information. 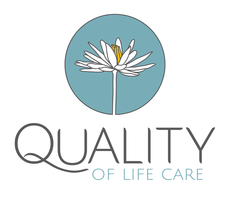 Quality of Life Care provides an empowering and emotionally safe training curriculum for people looking to explore their calling and create a practice to serve the dying. This training is for non-nurse providers of doula-type services for those facing end of life situations; and is focused on palliative care, companioning, compassionate presence, the essential tools of a doula, and the components of a heart-centered practice. For more information about this training program visit qualityoflifecare.com. 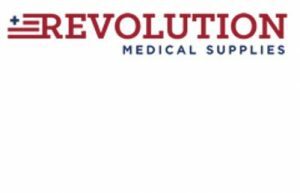 Revolution Medical Supplies was created to offer the best value available for purchasing urological, incontinence, ostomy and wound care supplies. They offer the highest quality products from industry leading manufacturers and unmatched customer service with finding products for your specific needs. As a bonus, all Well Beyond Care clients receive at 10% discount on all orders when they enter code WBC10. Visit revolutionmedicalsupplies.com or call (888) 392-0859 for more information. The Theora Link™ smartphone app for caregivers, coupled with the Theora Connect™ wearable for care recipients, is part of the Theora Care™ family of remote monitoring solutions that supports both family and professional caregivers with more peace of mind by knowing how, when and where a care recipient might need attention. Theora Connect is a wearable developed for people who are living with Alzheimer’s, Dementia, Parkinson’s, Down Syndrome, Autism or any other condition that may require a little extra caring oversight. for more information, please visit www.theoracare.com. If someone works in your home, you and your employee may both be liable for federal and state employment taxes. Paying employment taxes for your caregiver is often the last thing you want to think about, but The Nanny Tax Company makes it easy. We work with Well Beyond Care customers to make our is service simple, accurate and cost effective! Visit www.nannytaxprep.com or call us at (800) 747-9826 to see how we can help you.